Navarro Jimenez, M.I, Witteveen, J.A.S, & Blom, J.G. (2015). 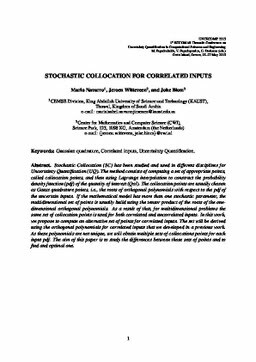 Stochastic collocation for correlated inputs. In M Papadrakakis, G.A Papadopoulos, & G Stefanou (Eds. ), .